Creating an established workflow for your writing process is the key to being a successful writer, but sometimes the ideas just stop flowing. That’s where Shareist comes in. 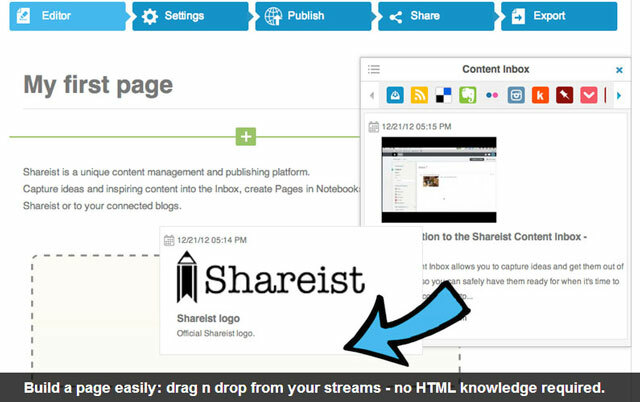 Shareist allows anyone to gather and organize their ideas in one place, then publish their ideas to the platform of their choice. Much more than a content curation tool, Shareist is a publishing platform that makes it easier for bloggers to turn their ideas into reality. 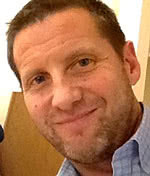 We spoke with Shareist co-founder and CEO, Scott Jangro, about creating content, helping users bring together various social and publishing tools, and how Shareist grew out of an internal software solution into an online publishing tool. How was Shareist founded and what was the impetus for doing so? Shareist started several years ago. I and my cofounder Damien Arlabosse worked in the affiliate marketing space at a company called Be Free. Back in 1999, Be Free got acquired by Value Quick and merged with Mission Junction. A few years later, people left, changed publishers, were building websites, and they got back together again and started a company building websites mostly focusing on the retail community, like fashion, shoes, costumes. 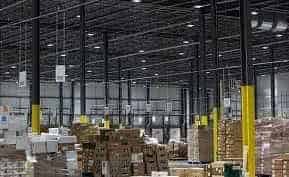 All the while we were building our own technology so that we could control the content management system that we were using, SEO, integrating with affiliated networks for monetizing, etc. We did that for several years. A few years later we realized that we had something here that other people might like to use for publishing, so we decided to turn it into a product and that’s kind of when Shareist was born. We took our product that we built for ourselves and turned it into a product that we could make available for others. What was the most difficult part about getting started? It’s really hard to turn your own internal technology into a product. That’s something that I had always heard as a software engineer, but never really understood the magnitude of that statement until having to do it myself. You build a product for your own internal use, and you know all the ins and outs, where all the places are that will break. But when you need to build something for other people to use–that’s probably been one of the biggest challenges that we faced. How did you manage to overcome that? What advice would you give other companies that are you know trying to transition their internal software into a product for customers? First of all, don’t underestimate that challenge, and make sure that you have a team or some people who can give you an outside perspective on your products. If you are too close to it, you just can’t know how difficult it can be for others to use. So it takes perspective from others in the team and outside of a team to give you good feedback and help you understand where you need to make changes or improve your product so that it can be useful to people other than those who built it. What’s your approach for ensuring that your product is as useful as possible for your users? We have some usability experts and designers on the team who are focused on that sort of thing. We try to get as much feedback from people as possible, which is also very difficult to get, so combining those things that’s the best you can do. They need to make sure that what we’re building is useful and usable. What do you think makes your product different from other social or sharing solutions? 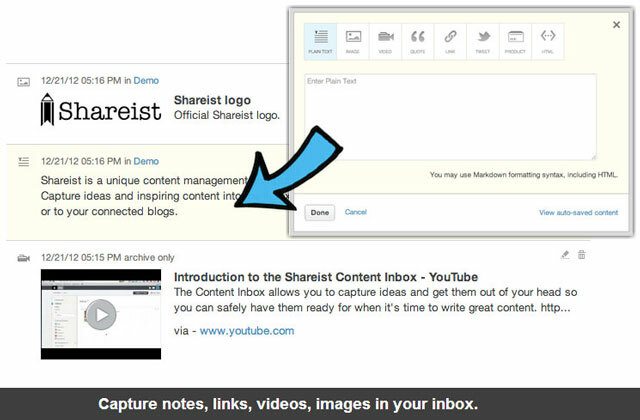 Shareist is a kind of a combination of lot of things that are out there, as well as individual tools. We try to take kind a holistic approach to the publishing or writing process instead of just sitting down in front of an empty screen and type your ideas or whatever it is you are going to write about. We try to start the process earlier. With Shareist, we focus on capturing ideas and providing tools to help you capture your ideas into what we call an inbox, and just get them out of your head and build this content to do list. You have ideas all day long when you’re reading blog posts or you take a picture of something. These are all ideas that feed your writing process; and if you just try to remember it, you might forget it. So we provide tools for people to capture those ideas, and when it’s time to write, we have a page builder and tools to do that. You have your ideas there ready to be pulled in. We start the process earlier–kind of like a pre-blogging or pre-writing process. You can almost write on Shareist, or you can push it out to other blogs or Tumblrs or posters, as well as connect your social media account and share whether you are in Facebook, etc. It’s kind of a combination of all those things together, to bring all these existing tools out there closer together to help streamline the process and help writers and bloggers be more successful. What do you think is the ideal type of customer for Shareist? Or do you think it’s something that pretty much anybody could make use of? It’s kind of a curse that it’s the type of product that anybody can make use of. I believe that everyone has a book or a blog in them right? But we need to focus on a specific type of users because you can’t be all things to all people. We’re focusing on people who relate to our own background as online marketers and affiliate marketers. If you want to make money, we have a lot of tools built into Shareist that help people do that. Beyond that, we’re talking to agencies or people who work with small teams to develop content, and we have some bloggers using the product, people who like to do product reviews, and that sort of thing. You know it is something that really can help anybody, but you we’re trying to focus on the segment of users that fit into the kind of things that we specialize in. Where do you see Shareist is headed in the next 5 years? Do you anticipate any changes in the social landscape or in the content curation and sharing landscape? It’s constantly changing. A couple of years ago, curation became a hot topic, and we identified that as something that was a strength in the product that we’re building. But we’re not just a curation tool–we have a platform that helps people create the content as well as curate it, so we’re adapting. We recognize also that people aren’t going to want to dump all the tools and the platforms that they use in order to use Shareist, so we’re building integration with products and tools like Delicious and Pocket and Readability to help people bring in their ideas that they’re capturing. 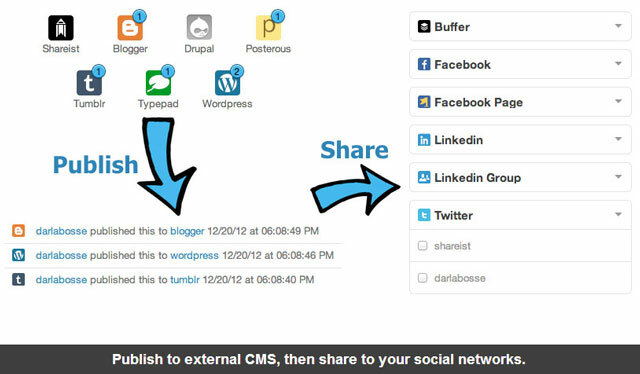 We’re also integrating with tools on the publishing and sharing side, like WordPress, Drupal, Tumblr, Facebook, LinkedIn and Twitter. That allows people to use the tools that they already use or want to use and help them do that more easily and more effectively by being platform agnostic. I think that we will be able to adapt to whatever new exciting tool or technologies that come down the road. Changing tracks a little bit, do you see any major challenges that your users face just in the general sense of trying to share and curate content? How do you feel Shareist helps them overcome those challenges? I think the biggest challenges are getting a process down. Successful bloggers and writers have a process and they follow it. I think most new blogs or bloggers fail because they have a great idea, they have something they’re passionate about, they sit down and write, and then they run out of ideas pretty quickly. You need to set yourself up to keep things rolling, so instead of having things die out, you need tools that help you find ideas and capture ideas through that writing and curating process. I think that Shareist uniquely helps writers and bloggers be more successful and get over that hump of building an audience before you run out of ideas. Who do you think are the most innovative or interesting people or companies in the space right now and why? Like I said earlier, we’re in three of these spaces right now, so from the bookmarking to publishing itself, curating, writing, and also sharing–at the core of all this is publishing and writing. On the curating side, Scoop.it is one that we look up to and get inspiration from. Checklist is another one that we get a lot of inspiration from that has new ideas around publishing, and it’s very exciting to watch those companies grow. On the input and output side, there are some great tools like Pocket and Delicious, which has just done another redefinition of themselves. On the outbound side, obviously, there’s Hootsuite and Buffer. I think those solutions are pretty exciting as well. I am happy to integrate with all these tools. My last question is what makes you the most excited about what Shareist is doing? I love the idea of helping people become successful. I’ve been lucky to end up with a company that I started myself, working for myself, and making money doing what I love, which is web development and publishing. I love the idea of being able to help others do the same thing. I have been a very active member of the affiliate marketing community, and I like to give back to that and help people be more successful, not only in publishing content, but also making money doing it.